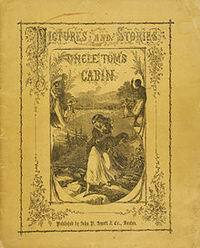 Publication of Harrier Beecher Stowe’s anti-slavery novel, Uncle Tom’s Cabin. A powerful anti-slavery statement, it is immensely popular and becomes the best-selling American novel of the 19th century, helping to create widespread popular support for the abolitionist cause, in the U.S. and internationally. It is also much criticized, primarily by defenders of slavery who say that it unfairly depicts slavery in a bad light, but also by later critics who object to its sentimentality, clichés, and stereotyping of blacks. The U.S. and its allies attack and invade Iraq. They justify their attack by fabricating stories that Iraq possesses “weapons of mass destruction” which supposedly pose an imminent danger to world peace. The imaginary weapons of mass destruction are never found, but the very real weapons wielded by the U.S. and its allies cause the death of hundreds of thousands of Iraqis.